We’re huge fans of pretty much anything the crew at Three Blue Ducks put their name to. From The Farm at Byron to their slew of successful restaurants (including their new set up at the swanky W Brisbane), we’re pretty much hooked on everything the Sydney surfers-turned hatted restaurateurs serve up. So, it’s only natural that after tackling the fine dining scene and nailing the farm to table game, a bar was next on their hit list. Say hola to Locura, the very first bar offering from Ducks Darren Robertson, Andy Allen, Mark LaBrooy, Chris Sorrell, Sam Reid and Jeff Bennett. 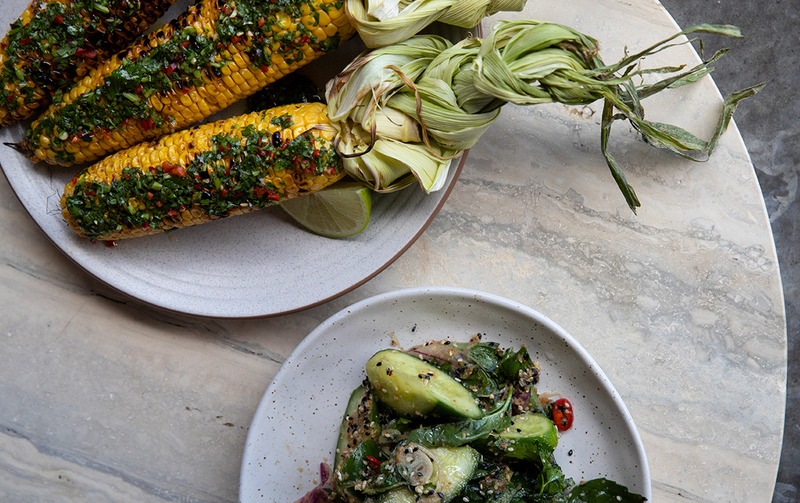 Locura, which is Spanish for madness, will open its doors this weekend in Byron Bay and will feature a pop-up kitchen serving up Latin American-inspired dishes. The venue, the fifth in the Ducks stable, was born after a recent trip to LA and Mexico, where the crew ate their way through street side taquerias and were inspired by the vibrant and flavoursome offerings. Locura’s menu, which will be available from 5pm, will feature a variety of small plates influenced by a blend of Mexican, Costa Rican and Peruvian cuisine. Think zingy ceviche, moreish tacos and fresh oysters. And for those who like it hot, there’s also a bunch of house-made fermented hot sauces, rubs and salsas on offer. Tipple wise, expect an eclectic cocktail list including mezcal-based mules with Kombucha, the Ducks take on the classic Mexican fave michelada and homemade tepache—a fermented pineapple drink made using the leftover pineapple skins from juicing at The Farm. The wine list will include a concise collection of international organic, biodynamic and natural sips, including a vino or two from South America. The minimalistic space, styled with the modern bars of Mexico City in mind, promises to have a big focus on music and with a capacity of 350, it’s also a seriously sweet event space… Road trip Christmas party anyone? Locura will open from 5pm this Friday October 26. Since we convinced you to do a road trip, here's our guide to Byron Bay.